Having camped at the Gorge Creek Campground after we hiked to Blue Lake – Rainy Pass the day before (see #164 – Blue Lake – Rainy Pass), this was the day we were finally (finally!) going to hike the Sauk Mountain Trail. 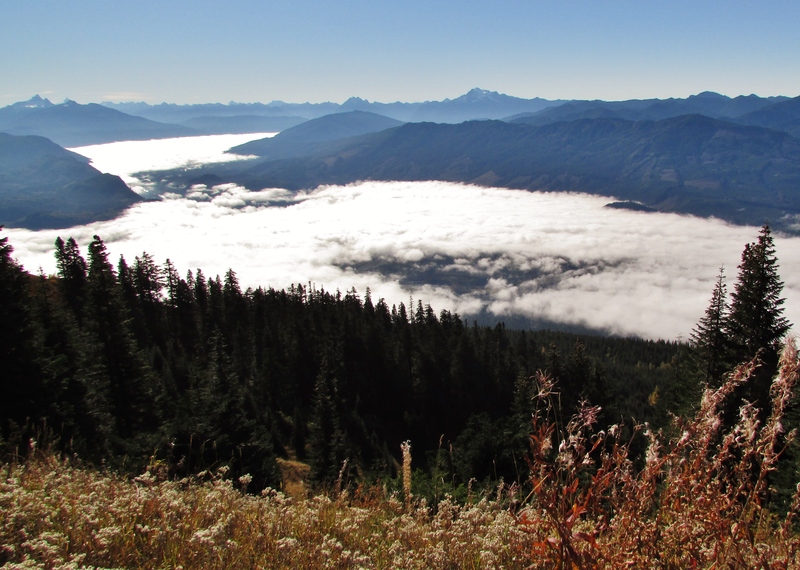 It was a long drive up a steep, twisted, rutted, more-or-less one-lane gravel road to the trailhead of Sauk Mountain, but once we pulled into the parking lot and took in the view, we were in awe. 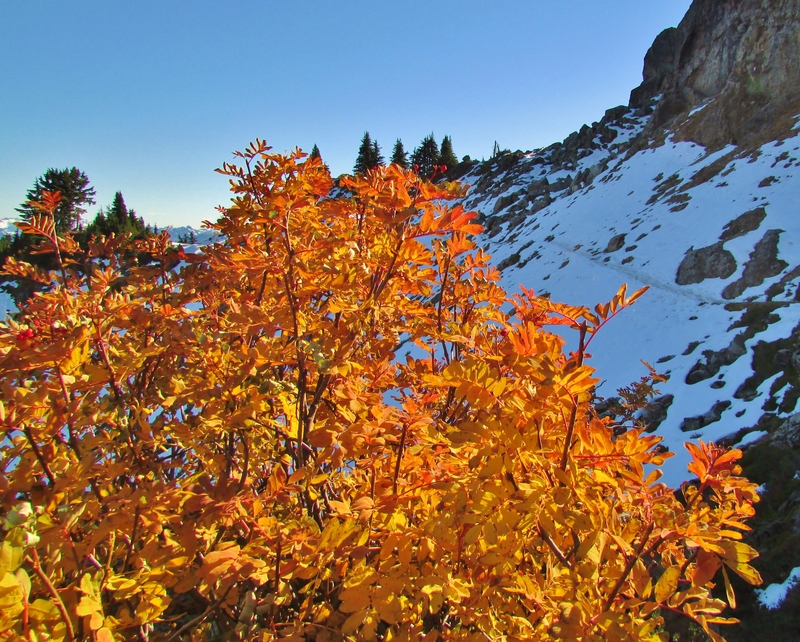 We had been experiencing several days of thick, lingering fog in the lower elevations, and what a treat to have gained enough elevation to escape that dreary fog. This is the view right out of the parking lot – thick clouds below with clear, blue sky over head. Perfect! Trailhead view . . .
At the Sauk Mountain trailhead. It’s always nice to have facilities at the trailhead, and this has got to be one of the prettiest toilets with the grandest view I have ever seen! 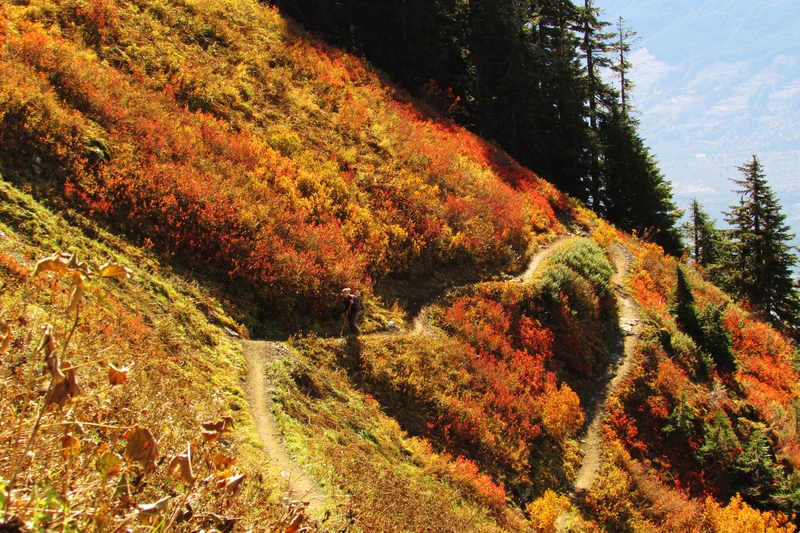 For approximately 1,000′, it’s nothing but switchbacks, up, up, up. 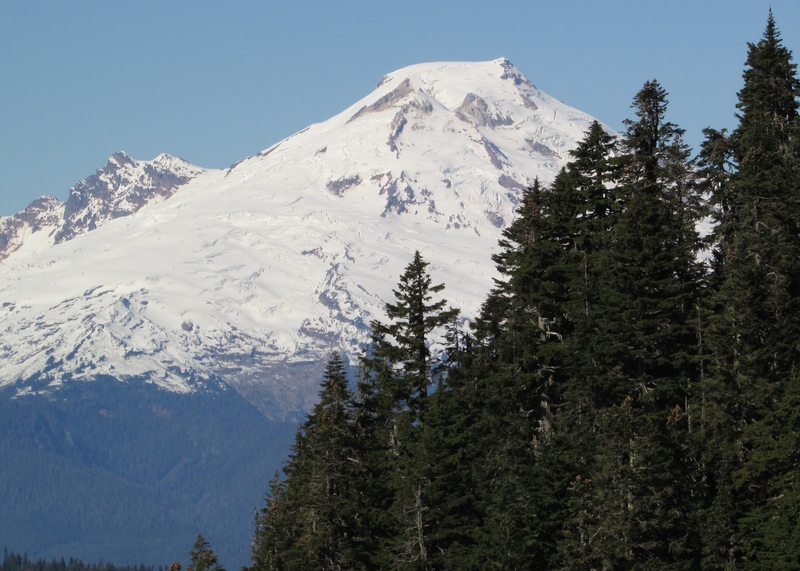 There’s a beautiful view of Mount Baker from the switchbacks leading to the top of Sauk Mountain. 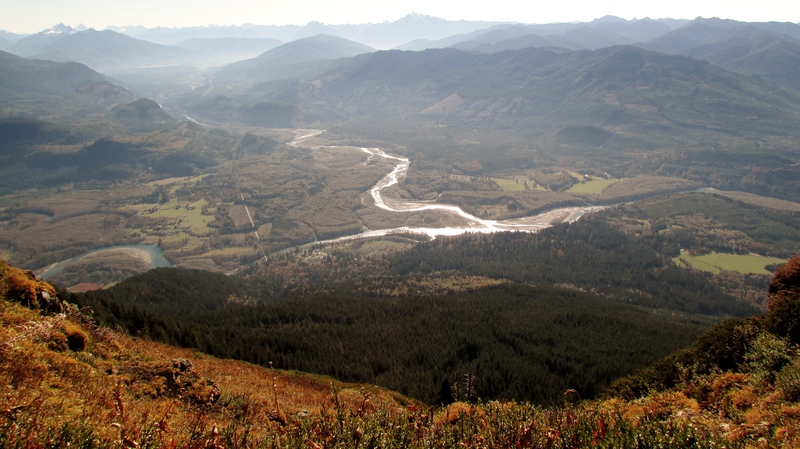 We could see where the Sauk River meets the Skagit River as we climbed up those switchbacks. 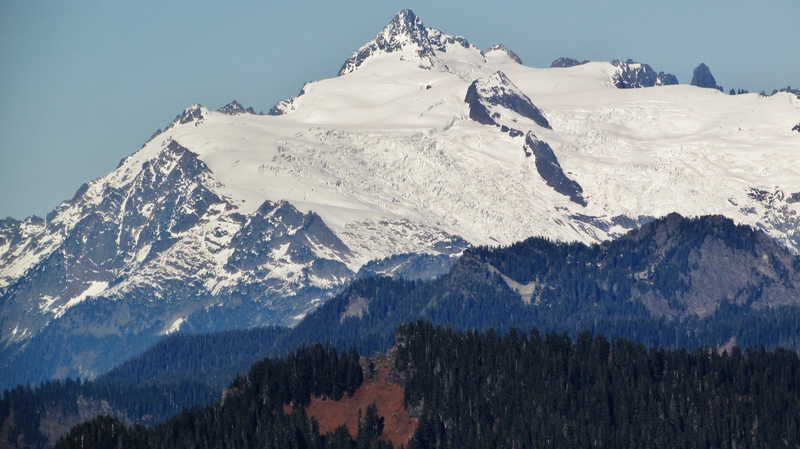 And here’s Mount Shuksan from the Sauk Mountain Trail. From the top of Sauk Mountain, there is a junction to another trail that will take you close to 1,000′ down again to the shore of Sauk Lake. 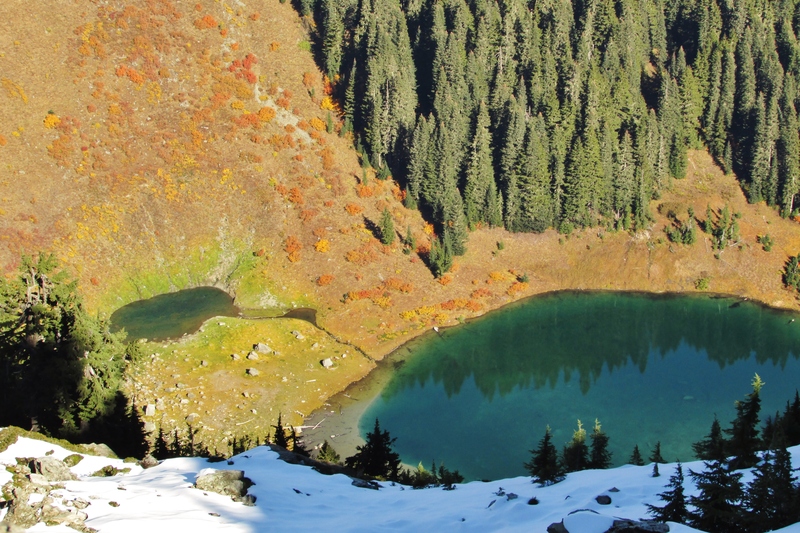 Although there are said to be a couple of nice campsites near the lake, I doubt if that lake gets many visitors as the trail did not look very well traveled. It’s a pretty little lake. We ran into snow on the back side of Sauk Mountain. This is an in and back hike (or in this case, up and down! ), we turned around to make the hike back down to the trailhead. But of course, not before we sat and took in the view as we enjoyed the picnic lunch we’d packed in our backpacks. 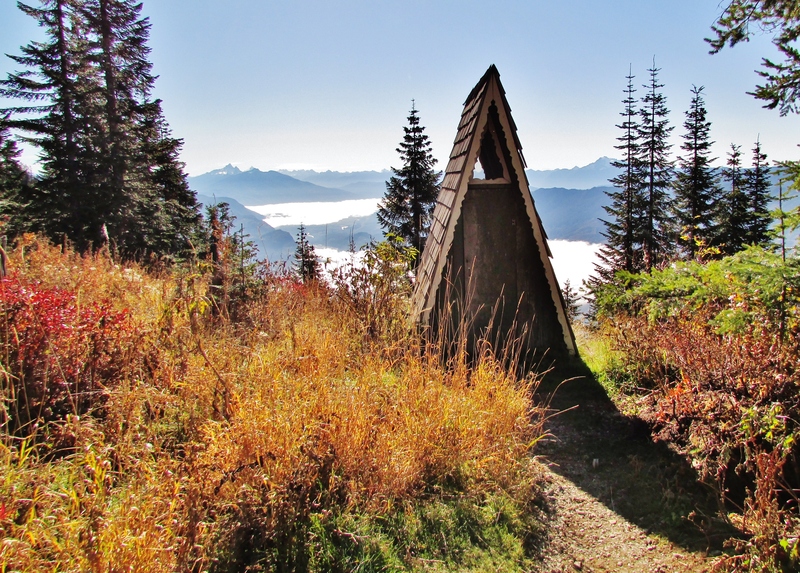 Sauk Mountain is the site of a former fire lookout, so the views are spectacular, making this very popular hike well worth the effort. 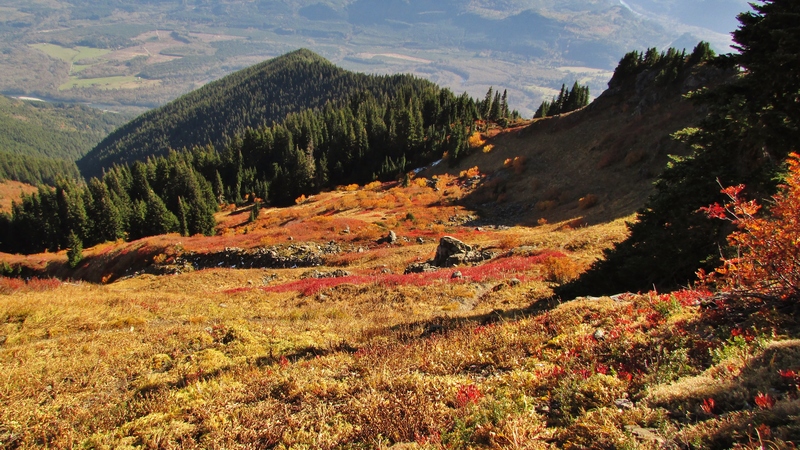 For more information and driving directions to the trailhead, go here – http://www.wta.org/go-hiking/hikes/sauk-mountain. 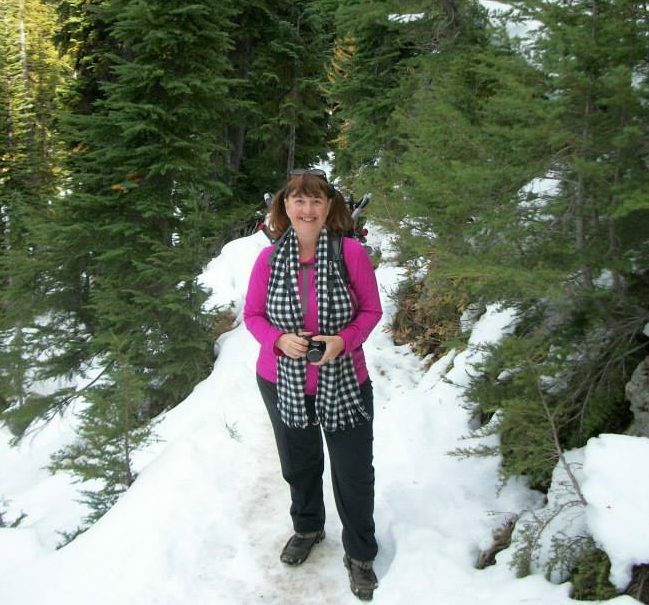 In the winter months, the Sauk Mountain Road is a popular snowshoe destination as well. Go here – http://www.wta.org/go-hiking/hikes/sauk-mountain-snowshoe – for more information on snowshoeing there. The views are spectacular along that road, so I can see why it is popular for snowshoeing too. Happy Trails! A little action to remedy the mundane. Life's just better on two wheels!